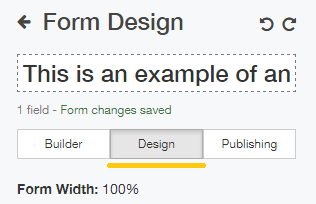 The progress bar appears by default beneath every form to show how many form questions are still remaining. To hide it, access your form (How to access) and go into the 'Design' menu in the center panel. 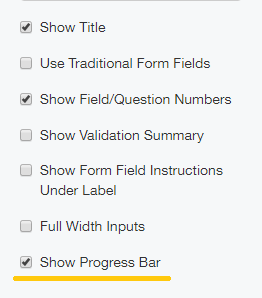 Scroll down until you see different options and un-check the box which says 'Show Progress Bar'. Check the box again to show it once more.